Everything you need to know to get a perfect one! 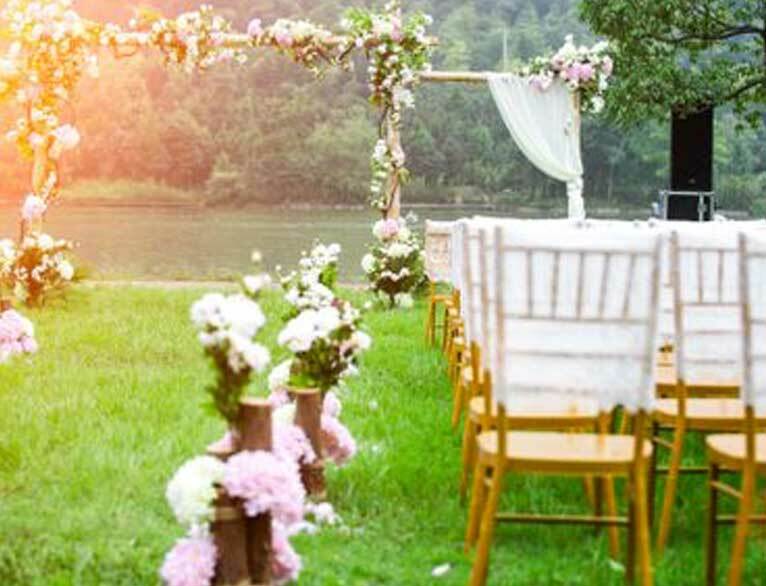 The outdoor wedding ceremonies have always been the leading choice for couples in Sydney. As for the Reception, it’s another paragraph and that is what we will discuss here. They are ceremonies with light, quiet and romantic settings, which make everyone crazy with love for this type of party. Making, even, brides who were already ready to have a traditional ceremony, drop everything to invest in the charms of an outdoor wedding. Remembering that, an outdoor wedding can be held in parks, by the beach, farms and golf courses. It goes according to what the bride plans to have for the big day. However, the great preference is still the reception held in not far from Sydney regions as The Hunter Valley, Blue Mountains and Central Coast. This happens because of the ease of finding places that meet the needs of the bride in terms of decoration, rustic scenery and food. It is undeniable the magic that this type of wedding can transmit to the guests. With the choices of decoration used in the right measure and the details of the bride entering the context of the party, the wedding ends up becoming a reference in sophistication and romanticism! Even this style of ceremony is not restricted to just one type. The theme chosen by the bride can go beyond the traditional and exceed the limits of creativity, creating a unique identity to the event, which is the dream of every couple! How to choose the date? Sounds like a simple task, doesn’t it? But, unfortunately, that’s not how it happens. Choosing a date to perform an outdoor wedding can be much more difficult than it seems. Several factors need to be considered before choosing a perfect match. And, among them, the main thing is the weather! It’s no use; the weather has to be clean, bright and with at least a little sunshine in the sky, to make your ceremony even more beautiful. Therefore, try to set the date of the wedding at a time of the year that is usually nicely warm, without much rain. If you are unable to set a date under these circumstances, look to rent a space that has a covered place to be used as plan B. It is essential to have a second option because if it is raining on the day, and there is no hidden place to hold the event, the whole wedding will be a disaster! A preventive alternative to avoid this kind of chaotic situation is to rent a tent of delicate fabrics and neutral colours – even transparent so that the couple does not lose the naturalness of outdoor marriage. Buy throws for guests not to feel cold during the ceremony. It can also happen that the day is warmer and sunnier than usual. In this case, distribute umbrellas and fans so that the guests do not suffer too much from the heat during the ceremony. Generally, the bride’s preference is to schedule a lunchtime ceremony during the day. However, what many people don’t pay attention to is that this is the time when the sun is higher, and it gets stronger. There are some times when the sunlight is more favourable to hold the wedding. At noon, for example, it is not very indicated, because it is time when the sun is stronger. So, set the ceremony for before 10 am, or after 3 pm, the weather will be cooler and perfect for making the photo album even more beautiful! Photographers love this light! If the idea is to hold a more nocturnal ceremony, then opt for the late afternoon period to capture the sunset – depending on the time of the year. In this regard, it is cool that the couple searches for all possible options and choose the one in which they have a more significant connection with the couple. It’s essential to feel that way! If you are thinking of floral decoration, with many unusual and creative details – especially in the Vintage style – the wedding in the field is the ideal for you! Countryside weddings are very democratic in terms of decoration, and allow a greater variety of topics to be addressed. It’s up to the couple to choose what has more affinity to them. The advantage of the ceremony in the fields is the perfect natural setting for photography. The ceremony, besides being beautiful, will also provide a memorable party for the guests and will be eternalised forever in the memory of all those present on the day! You can have a ceremony by the beach in a sophisticated sea-front venue. Both options are beautiful! When it comes to choosing which one you most identify with, consider that the style of the two is entirely distinctive. For example, for the wedding in parks by the beach, the decoration is minimalist and the bride’s dress too! Anything more connected to the natural is essential for these marriages. The ceremonies held in venues by the beach can be more glamorous – but not too exciting not to be exaggerated. The bride’s dress can already be a little more sophisticated, and she can wear high heels. It’s something to think about what you want on your wedding day, what you want! Weddings held on the farms are perfect for couples who want a naturalistic and welcoming setting. If the idea is to get married on the farm, close to the animals, the fresh approach is to set up a table full of typical regional foods and sweets, such as pies and jellies. Everything to increase the rustic style of the farm! The wedding invitation is an essential element to be chosen for the organisation of the wedding. That’s why you need to start searching for invitation and inspiration as soon as possible – remember not to leave it to the last minute! In outdoor weddings, the wedding invitation can be very creative and fun, combining with the party decoration. The rustics, in that case, are the most sought after lately. Floral and woody details look gorgeous and go great with this style of the ceremony! It’s important to highlight or at least give some directions to your guests of what they should expect from the location you have chosen, so they can be prepared accordingly.